On board a helicopter, it’s possible to lift off from a heliport, bypass populated areas and leave civilization behind in minutes. Look down and you’ll find yourself flying low over deep, impossibly tangled, uninhabitable canyons, where inland waterfalls drop hundreds of feet right outside your window. the mood. 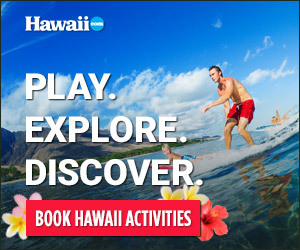 Some helicopter companies offer private tours, which range from short hops to Moloka‘i to longer multi-island jaunts. BLUE HAWAIIAN HELICOPTERS, which conducts tours on all four major Hawaiian Islands, flies a state-of-the-art aircraft called Eco-Star. The helicopter is known for its quiet technology and first-class seating arrangements. Blue Hawaiian is the only tour operator on O‘ahu that flies Eco-Stars.